University of North Alabama is one of the leading Universities in the State of Alabama. However, they wanted to increase their market share in a few new markets. 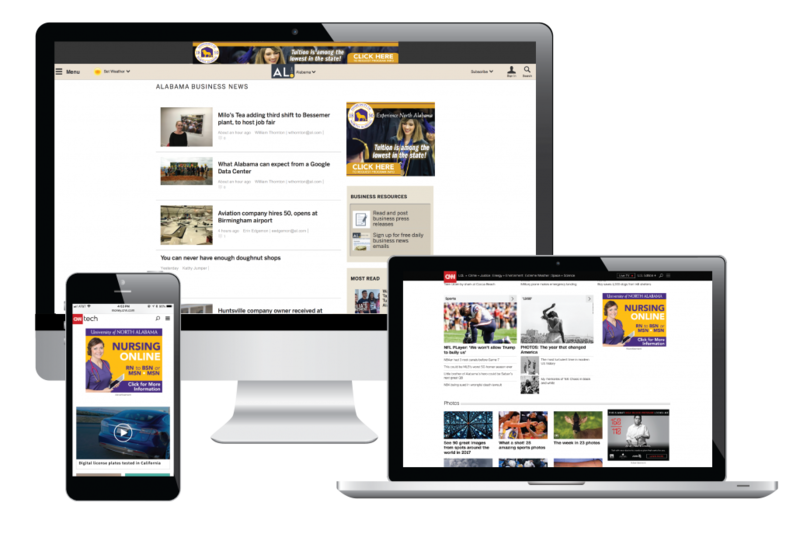 They began working with Alabama Media Group to increase brand recognition across several different areas in Alabama and Tennessee. 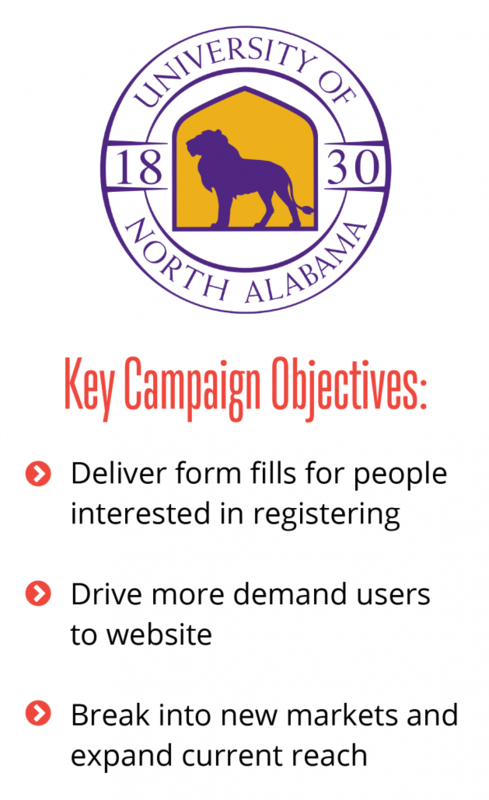 The digital awareness campaign starts with sending University of North Alabama’s message to a strategically designed target audience of higher education intent located in Birmingham, Huntsville, Montgomery, Memphis and Nashville. 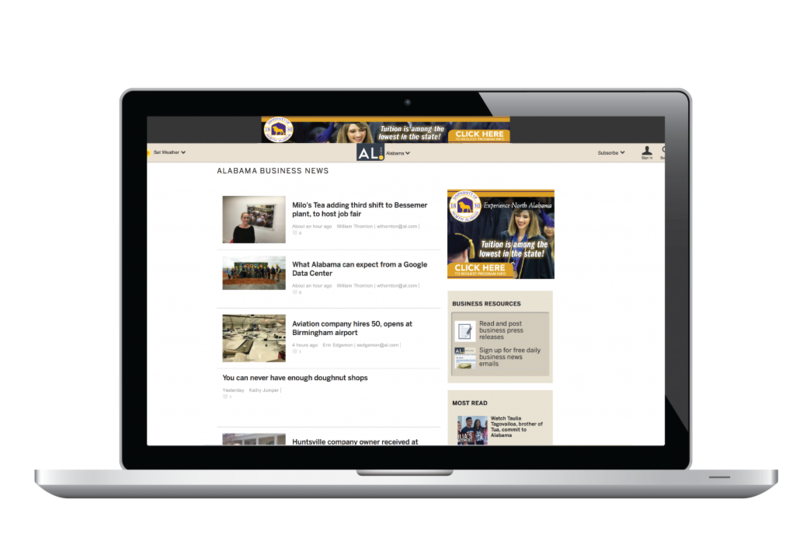 These users are targeted with display ads on AL.com and re-messaged with display ads on the extended network.